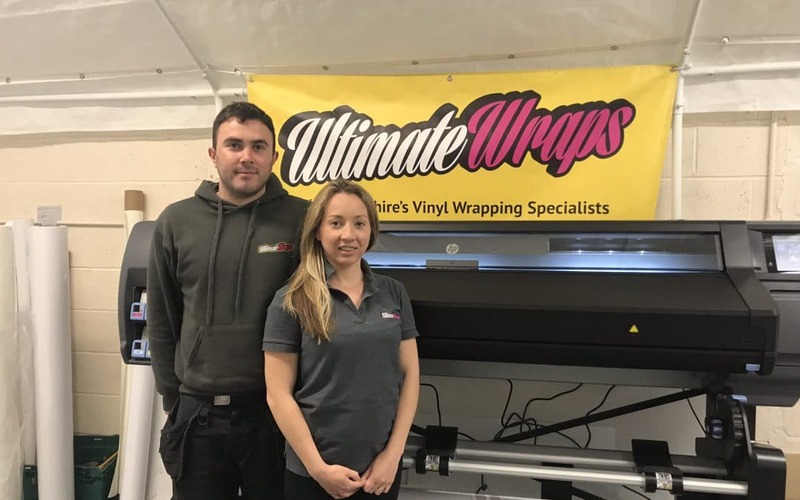 A high-quality vinyl wrapping business in Kidderminster has been able to scale new heights thanks to a £10,000 LEADER grant. The grant has allowed Ultimate Wraps to purchase a large format printer, enabling them to produce large scale digital prints to be applied to vehicles and other substrates. This allows them to apply commercial branding and liveries in specific pantone colours. Based on Hartlebury Trading Estate, Jack and Hannah Warwick’s business officially expanded into a full time venture in 2016, and has gone from strength to strength. The purchase of the printer has allowed the company to apply for an accreditation with a major vinyl manufacturer and Ultimate Wraps are now the ‘preferred supplier for full vinyl wraps for vehicles for Gutter Pro UK. The new equipment has increased turnover, created 2 new jobs and allowed the business to look into the possibilities of taking on new apprentices. The final round of LEADER funding closes on 21st September 2018. If you have a great idea to grow your rural business or make a difference in your community please get in touch via leader1@worcestershire.gov.uk or on 01905 846872. The focus of the LEADER programme is on growing the economies of rural communities by enabling local people to identify and implement solutions to local problems. The project has received funding from the European Agricultural Fund for Rural Development under the Rural Development Programme for England. The Department for Environment, Food and Rural Affairs is the Managing Authority for the Rural Development Programme for England.